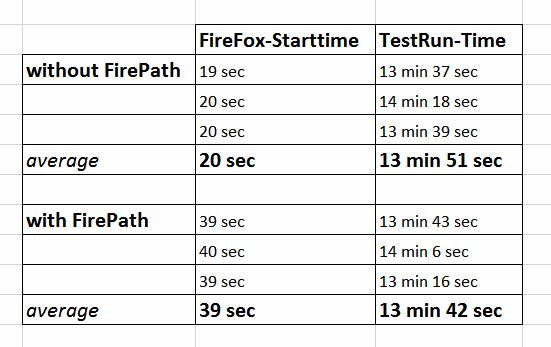 To say it very clear: 20 seconds more in the starting phase is nothing compared to the time we spend to navigate a different Firefox (not the driven Firefox) until we finally reach the point of disturbance and finally start to debug the xPath there. So enhance your test-automation workflow with an integrated FirePath! Same can be said of other add ons one may wish to include besides FirePath. At a minimum one should include Firebug, unless they can prefer the native FF developer console over that.